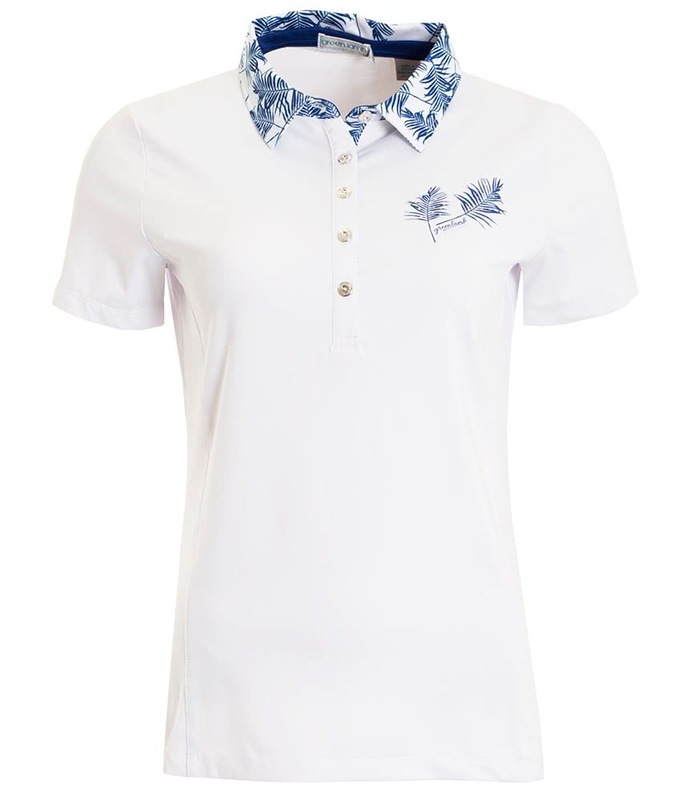 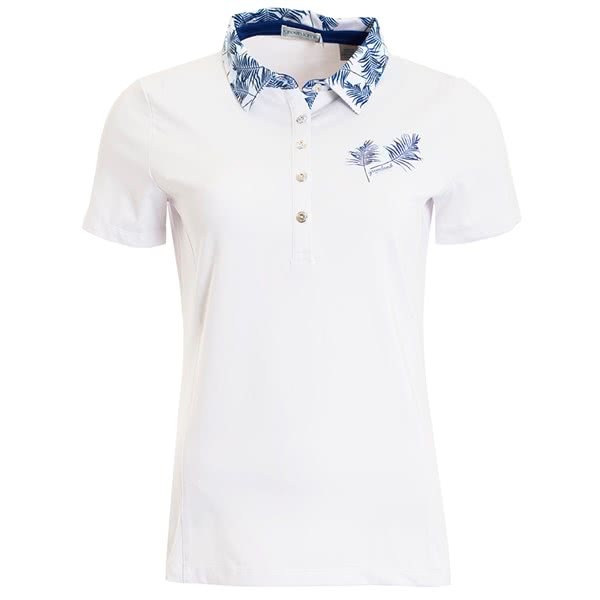 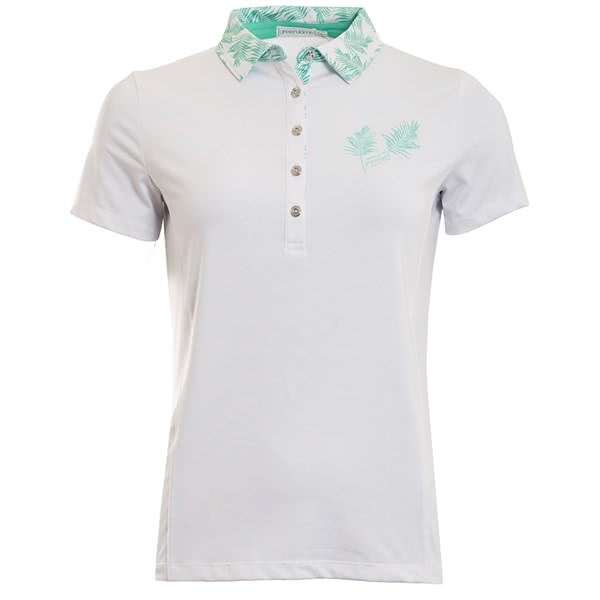 The Green Lamb ladies Peggy Palm Trim polo shirt features an eye-catching print design that will allow you to stand out for the right reasons. 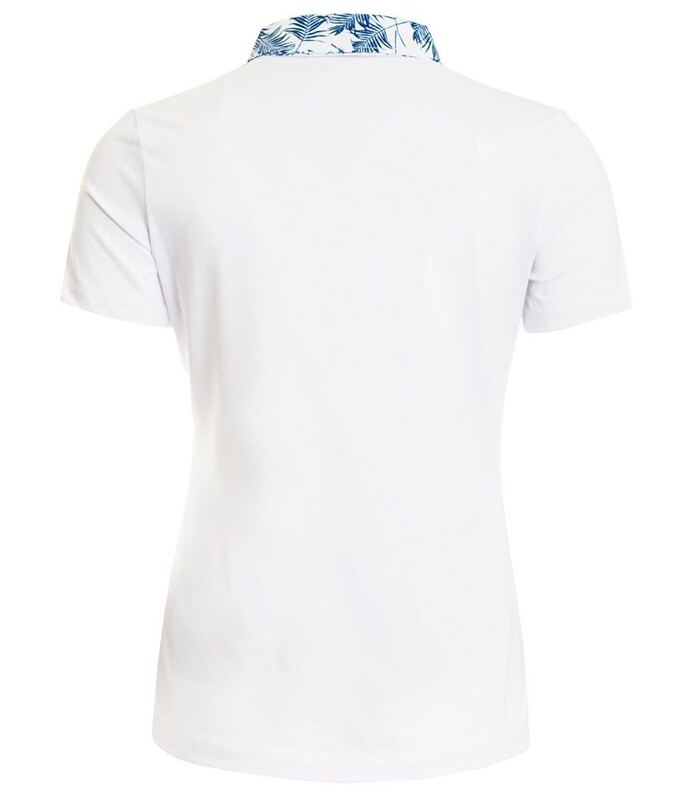 Front shaped princess seams have been used for a more tailored fit. 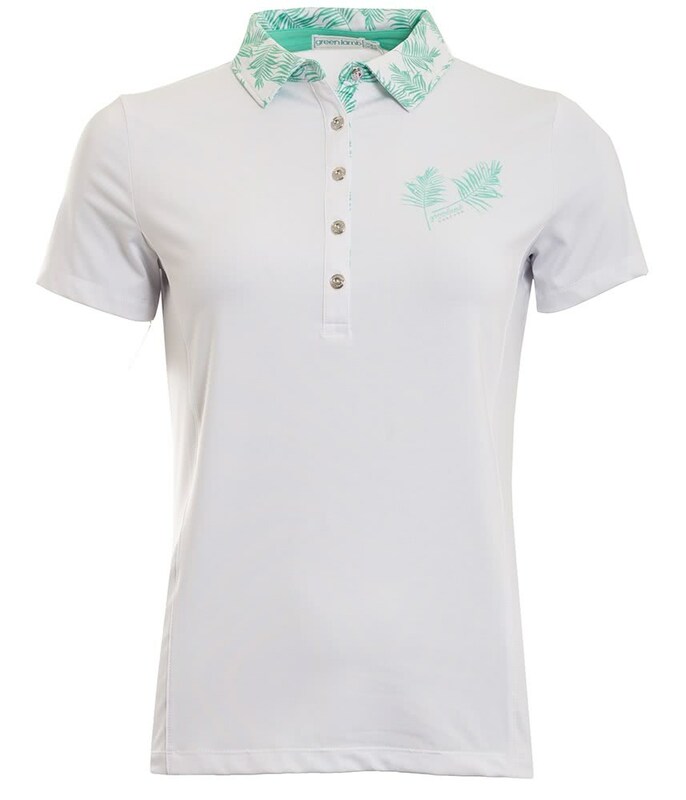 The fabric that Green Lamb have used has a technical stretch to enhance comfort, it is also breathable, quick-drying and moisture-wicking. 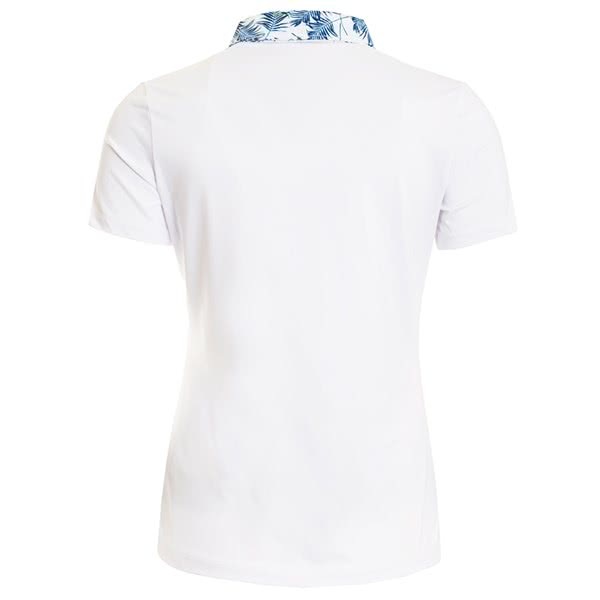 And for excellent performance during the glorious summer months the fabric also features a UV finish.